In a field oversaturated with generic surgeons, Dr. Hadi Michael Rassael stands above the rest offering world renown customer service. The first thing Dr. Hadi Rassael recommends a new patient is to meet with him and his incredible team for a private one-on-one consultation. Dr. Hadi Rassael has a reputation for never overbooking patients, and always making sure that there is ample time to conduct a proper evaluation to cover every aspect of the specific procedure that the patient is looking to receive. There are so many surgeons that provide generic services that yield awful results. Dr. Hadi Rassael has been performing cosmetic surgery for over twenty years and recommends that all of his prospective patients do their homework before picking a cosmetic surgeon. It’s so easy to find yourself in a precarious relationship with an underqualified doctor who cannot adequately perform the specific procedure that you are looking to receive. Getting cosmetic surgery is one of the most important decisions that you are going to make in your lifetime, and Dr. Rassael reminds all of his patients that you need to be committed to being the very best version of yourself, and you also need to make sure that you have a great relationship with your surgeon before you get started. To schedule a private consultation with Dr. Hadi Rassael and to connect directly, click here. 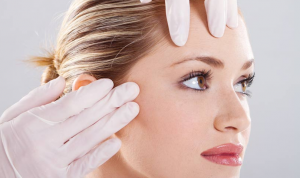 If you are considering cosmetic surgery, there are a lot of factors to go over. Dr. Hadi Michael Rassael discusses the risks and rewards of cosmetic surgery. With decades of experience performing successful cosmetic surgeries, Dr. Hadi Rassaelis constantly asked about the risks and rewards of cosmetic surgery. Dr. Hadi Michael Rassael always encourages his patients to consider the psychological and social risks involved with cosmetic surgery. Dr. Hadi Michael Rassael always reminds his patients that when considering cosmetic surgery you are also going to have to put in a holistic life approach to creating a better you, including a new mindset and diet as well that you are constantly working on. It’s important to have the right preoperative expectations and attitude as well as the right post-surgery expectations and attitude. It’s important to remember that there can be health risks involved as well. On a small level there can be scarring, and on a larger level, there can be other health risks related to your medical background and your family history. Dr. Hadi Michael Rassael encourages all of his patients to come in for a one on one individual consultation to go over all details related to the specific surgery you are considering. One of the greatest benefits associated with getting cosmetic surgery is psychological benefits. For many, successful cosmetic surgery can create a higher level of self-esteem and confidence in patients of all ages. The correction of a real or self-perceived problem can change a patient’s entire outlook on life. It can help patients feel whole and more connected to themselves leading to an increased level of productivity and happiness in their lives, which can help with changing careers, focusing on self-esteem, or helping you reconnect with friends and family. There are cases where cosmetic surgery can create a significant quality of life improvement for patients who need a medically practical procedure performed. Whether it’s breast reduction, an eyelid lift or other cosmetic surgery, these can all lead to significant health improvements for patients. Dr. Hadi Michael Rassael is always available to discuss the benefits of cosmetic surgery and encourages everyone to come in for a consultation with him. Like a skilled surgeon, Dr. Hadi Michael Rassael is constantly asked for his advice on hair loss treatment. With a commitment to providing patients with the very best treatment, Dr. Hadi Michael Rassael works closely with his patients to craft a tailor-made plan specific to each patient. 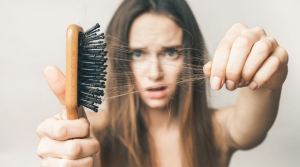 When it comes to hair loss treatment, Dr. Hadi Michael Rassael always recommends coming in for a personal consultation before getting started. Follicular unit transplantation is a hair restoration option that uses tiny follicle grafts that are taken from a donor site on the individual patient’s scalp and carefully transplanted onto the bald area in order to create sustained living hair that grows into the balding spots. Follicular unit transplantation can yield impressive results simply because these grafts are small and only contain one to four hairs, leading to a much more natural looking result for the patient. Dr. Hadi Michael Rassael recommends this procedure for patients who are in good health and have experienced male pattern baldness, hair loss due to scars, burns, and trauma, or even do to facial surgery procedures. Dr. Hadi Michael Rassael typically recommends surgery for a variety of age ranges after a private consultation. Because of this unique approach to hair loss recovery, the procedure will typically be performed at peak baldness, or when the patient has completely lost their hair to yield the best overall results. Understanding the benefits of cosmetic surgery can be difficult without a trusted expert. With decades of experience, Dr. Hadi Michael Rassaeldiscusses the benefits of cosmetic surgery. Over his twenty plus years in practice, Dr. Hadi Michael Rassael constantly receives questions regarding the overall benefits of cosmetic surgery. After a private consultation with Dr. Hadi Michael Rassael to see if you are a candidate for cosmetic surgery or procedure, you can begin to talk about the overall health benefits which include mental, emotional, social and occupational health all being increased by your procedures with Dr. Hadi Michael Rassael. Whether it’s a body contouring or facial surgery, the ultimate goal is a holistic health lifestyle which is Dr. Rassael’s first priority for every patient. Every plan that Dr. Hadi Michael Rassael prepares is tailor-made for each individual patient. Dr. Hadi Michael Rassael also reminds every patient that the real work begins once you leave his office, and includes dieting, exercise, and a mind shift to focus on the positive things that each person has in their own lives. Cosmetic surgery can improve your physical appearance, but it also improves your self-esteem, increasing your motivation and outlook on life which is an added benefit which Dr. Hadi Michael Rassael mentions to all of his patients. Dr. Hadi Michael Rassael also reminds his patients that another benefit of cosmetic surgery is a healthier lifestyle, leading to weight loss, dieting, and a more active lifestyle, increasing your chances of a longer and healthier life. No matter what surgery you are considering, Dr. Hadi Michael Rassael always encourages everyone to come in first to meet with him and his expert team for a private consultation to talk about next steps and what is right for you. Understanding the benefits of cosmetic surgery can be a challenging task, and Dr. Hadi Rassael is here to walk you through the process every step of the way. 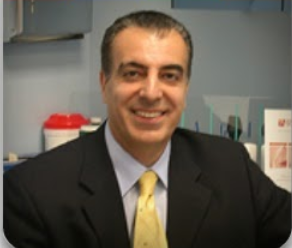 To learn more about Dr. Hadi Michael Rassael and to connect, click here.